Grab a coffee and find a cozy spot! 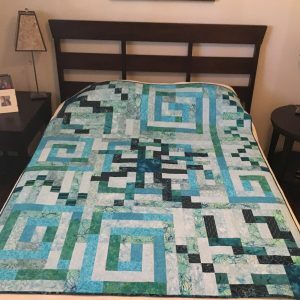 Let me tell you the story of one of my all time favorites – the Teal Universe quilt. 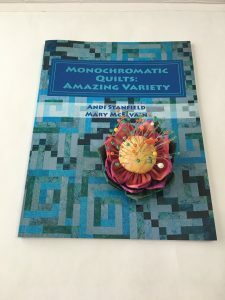 This quilt became the cover design for my first publication, Monochromatic Quilts: Amazing Variety. The idea for this quilt was born from a doodle. I was sketching on graph paper while monitoring a test in my high school math classroom. I love working with a basic patchwork grid. 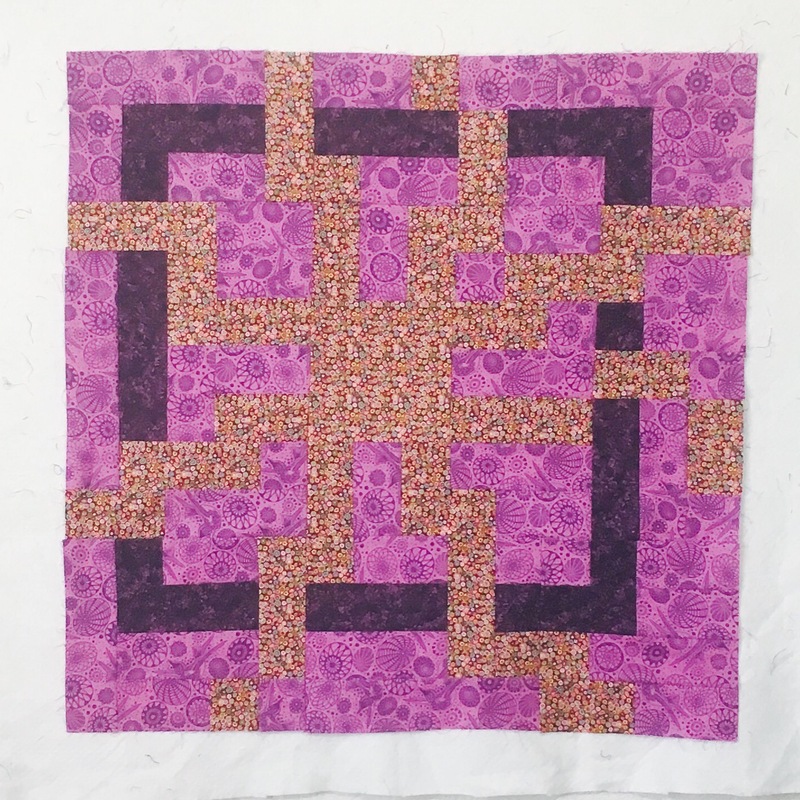 The starbursts and spirals were such fun to combine in one quilt. One day, I heard a report that scientists had mapped the color spectrum of outer space. They discovered that the average color was teal. Around the same time, my mom/co-author and I were planning monochromatic quilts for our book. That bit of trivia stuck with me, eventually merged with my cosmic doodles, and became the perfect name for a quilt – Teal Universe. This version was made with 2-1/2″ strips, so if you have some jelly rolls in your stash, you can get started right away. The first sample was very scrappy. 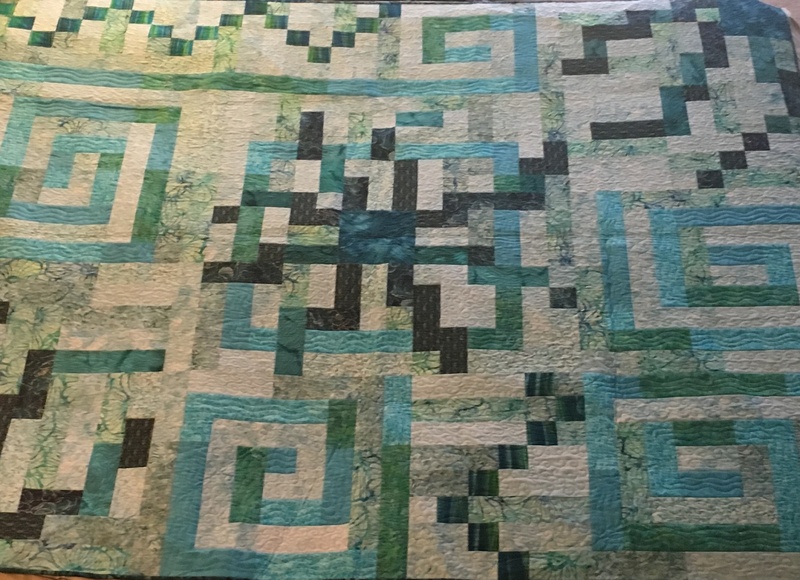 By using just three colors, a true light, medium and dark, with good contrast between all shades, you can make a striking quilt in any color combination. 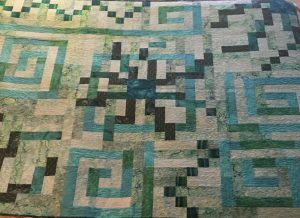 Join us for the Teal Universe Quilt Along! 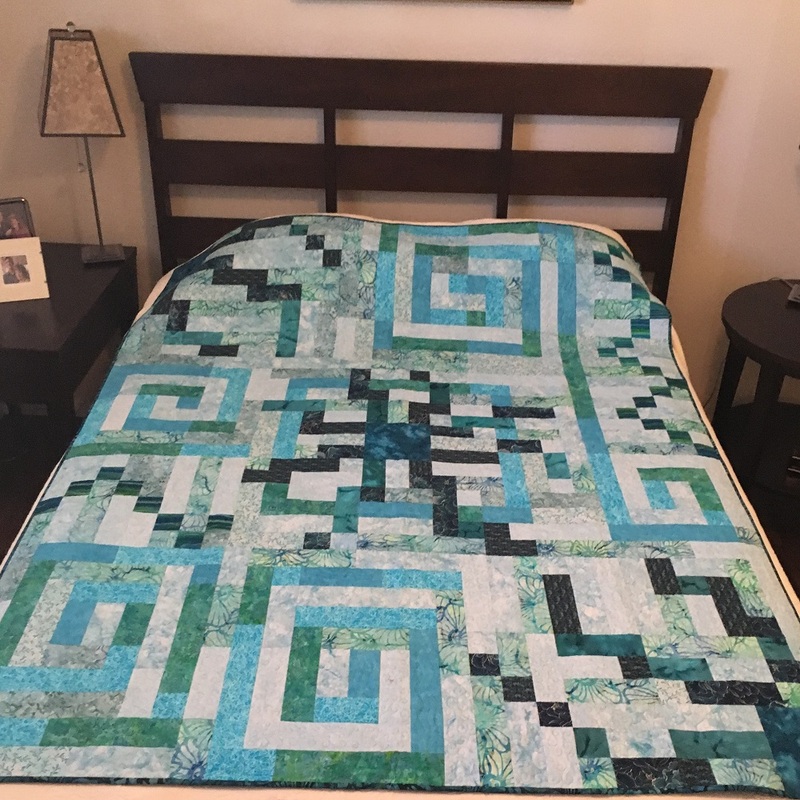 If you’d like to make your own Teal Universe, I am starting a quilt along with this pattern on Nov 22, 2018. Buy the pattern and sign up for weekly emails with tips to help you complete this twin-size quilt. One of the fun aspects of this design is that each section can become a stand-along smaller project. The starburst blocks make great throw pillows – just match your living room decor or add a pop of color. I include coloring pages with all my quilt patterns so quilters have a chance to audition their color ideas before purchasing or cutting fabric. Here is a short video showing my reveal of a new colorway for the Teal Universe quilt.